You don't want ripple at the emitter- that's the opposite of how a capacitance multiplier works. Quite right, it doesn't have the unity gain of an op-amp so the stop-band attenuation won't be perfect, but the transition band can be peaked for whatever filter characteristic you need, and the asymptotic slope can be -40dB/dec (until leakage takes over). Note the feed-forward path through the first resistor and capacitor, so that at frequencies where the transistor gain is dropping off, this path dominates, limiting stop-band attenuation. Admittedly, this is still a higher roll-off than for a typical op-amp, so it might not be too bad. You can see it's much sharper and tighter than anything you can do with resistors and capacitors alone, and smaller than most things you'd do with inductors (I know, you can get pretty small ~1H chokes, though the Q is pretty bad). Plus you'd still need the buffer to drive an LC filter, so might as well do it in one. I don't have a picture of the actual filter, but it went on this radio, just after the detector. The construction is similar, just imagine it with another submini and more capacitors and resistors around. Also, incidentally, I finished up that radio by powering it with two SMPSs, in a hybrid configuration. One AC to 12V 2A supply (Meanwell) just to get things going, then a discrete 12 to 6.3 and 100V supply (a slight variant of this) for the tubes. I added shielding around, and an extra stage of LC filtering outside the discrete module, and that was all that was needed to keep the thing dead quiet on the 20m (~14MHz) band. Having watched, with occasional amusement, your regular mailbag frustrations and wrestling with mittel-europa place names may I offer a little pronunciation help here. Sziklai is a Hungarian name and like all Hungarian words with 'sz' or 'cz' phonemes is unpronounceable by anybody who isn't a native Hungarian. The nearest I've managed to get transliterates as 'shik-laii' with the 'sh' sound being something between the English 'sh' and 'z' sounds - shape your mouth to say 'z' but instead say 'sh'. I got this pronunciation years ago from a Hungarian descended German colleague. Thanks, here I thought it was a Japanese name Let's get our Sidney Darlington and George Clifford Sziklai right. But Sziklai pair still won't work in a capacitance multiplier. BS. PNP series pass, NPN driver. Though, I wonder if we could achieve time travel this way with less flux. Incidentally, the way this circuit works is that the cap will try to charge to Vin, and thanks to the light loading of the emitter follower it will mostly succeed. However, when Vout gets too close to Vin the transistor becomes unable to draw collector current because the difference is too small, and the transistor then effectively becomes a diode between the cap and Vout. In which case the cap voltage is rapidly dragged down until the collector can draw current again. Hence Vout tends to stabilise at the lowest instantaneous ripple voltage. With all due respect, you are mistaken. Unless you have a sketch to clear up misunderstanding on how the NPN driver works at multiplying capacitance. Once you have high ripple on either transistor's emitter, you are modulating conduction at the E-B junction. This breaks the basic principle of the an emitter follower here in the capacitance multiplier that relies on pure DC at the base and the resulting near constant collector current (in both transistors) to filter ripple. People arbitrarily change from Darlington to Sziklai, NPN/PNP etc. and let's not be sloppy. I'd be interested to see a simulation illustrating this. With Szikilai the pass transistor appears to not be contributing, its (emitter) in-phase with the ripple so the result is slightly worse? Only the driver is doing the work. For discussion I did a basic run in LtSpice and also in Paul Falstad's Circuit Simulator of the capacitance multiplier using a Darlington and Szikilai. It's kind of a nothing burger circuit because it wastes a fair bit of voltage as heat, and adding a zener turns it into a voltage regulator anyhow. I've rarely encountered capacitance multipliers. Only seen in esoteric audio gear. Someone please run a SIM on the shizaki pair and end our missery, that and a darlington to compare. My money is lower ripple for the darlington, lower drop out for the other. I tend to agree, but capacitance multiplier is the industry term like it or not. I ran a couple more Qucs simulations comparing Darlington vs. Sziklai. Sziklai ended up being lower voltage drop as well as slightly better ripple rejection. I just noticed that "InfiniVision" is spelled InfiniiVision. I ran it again with just a single frequency (vs swept frequencies) and just a pure sine wave of 1KHz for ripple noise. The output for both look nearly identical except for the difference in voltage drop. These plots might be easier to look at. Let me know if you want me to run with a different configuration. Looks like Sziklai wins this time. Same rejection but with lower dropout. One thing that might worth checking is high freq to see how it will work in a SMPS. Good suggestion. I changed to 10khz sine and got some interesting results. I was going to try 280khz, but the transient sim was going to take forever. Looks like sziklai is the clear winner here ( at least in a simulation with these component models ). I forgot to post a reference to the data sheet for the transistors used in the simulation for comparing Darlington to Sziklai configurations. Datasheet not very useful -- you're assuming the datasheet is even descriptive enough (it's not), or that the models are anything like an average part (who knows). What's the library entry look like for those parts, anyway? I'm not assuming anything. I was just providing more info about the simulation and the fact that they are supposed to be complementary. I'll attach the parameters from the Qucs models that were used for reference as well. I agree that it is just a simulation. Let me know if anyone is interested in trying a different configuration. I tried your simulation in LTSpice, much different than what I'd drummed up. 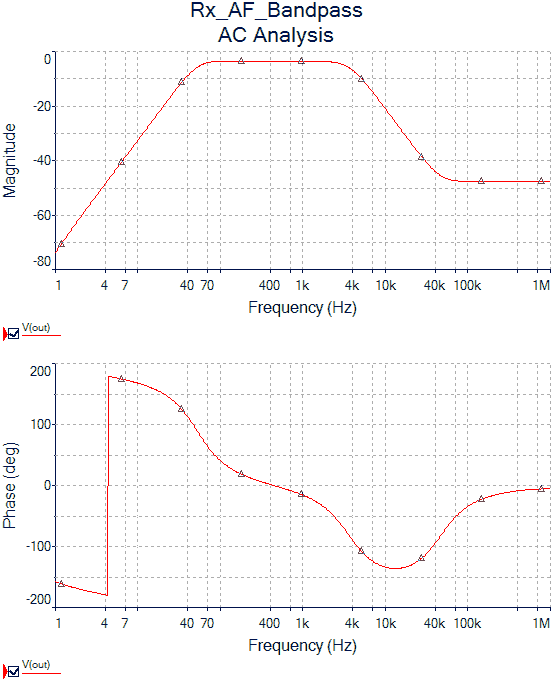 2N3055 Bf=73 with 1.5A load and 10kHz input ripple compared to my 2N3904 Bf=300 with 42mA load and 120Hz input ripple. I could not get the same results in favour of the Sziklai for ripple reduction. Bf was significantly different. 70 vs 360. I adjusted the Bf/Rf in Qucs transistor models to match the LTSpice as well as the Cap value and input sine frequency. I still get same results in Qucs (same difference in output ripple) , but with an expected higher voltage drop. The voltage drops are still significantly different between LTSpice and Qucs. I may dig into it some more later, but the models definitely don't agree even on the Darlington where they are both supposedly 2N3055 models. After looking at some other datasheets for these transistors, I suspect that the Qucs models are incorrect (at least the forward beta parameter). I apologize for not doing more to verify the models before posting on here. 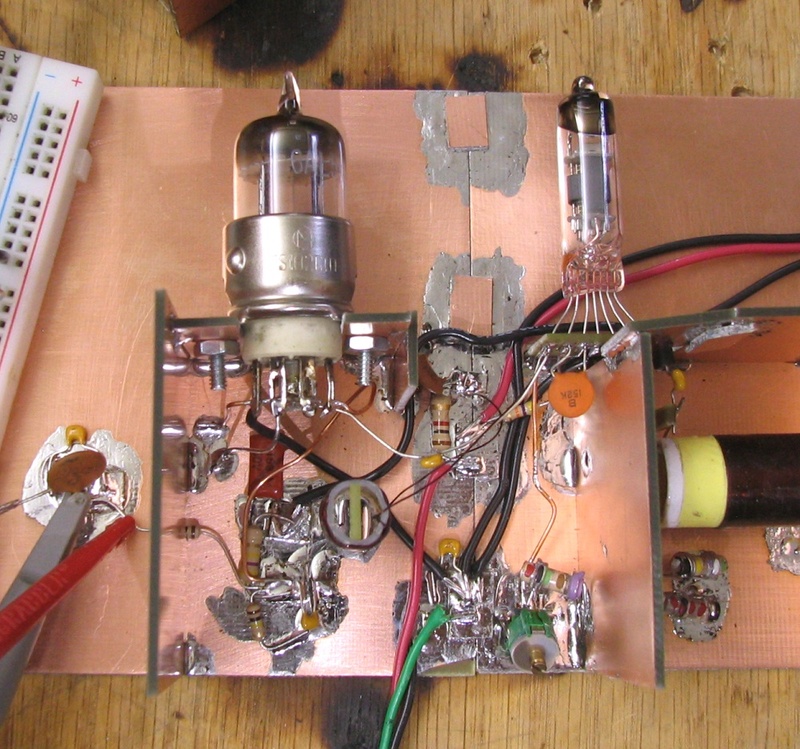 The difference in performance between the Darlington and Sziklai pair comes up in audio power amplifier design so there might be something to learn there. Local feedback designs with a third transistor are much better than either. Another thing to learn from audio power amplifier design is Ft and hfe droop at high currents which are going to be present in a high current capacitance multiplier. There will be considerable advantage to using RETs (ring emitter transistors) or equivalent like the D44/D45 series instead of common power transistors. I myself have only used capacitance multipliers like this at 10s to 100s of milliamps for sort of super power supply decoupling and surge protection. Wow, are all the parameters identical for those models, except for type (NPN/PNP)? Whose idea was that?